What If Dragon Ball Z Wasn’t Successful? So we all know that Dragon Ball Z is wildly successful show where it has crossed over into mainstream media such as video games, action figures, and even a motion picture. Now while it wasn’t a great one it was still a motion picture on the big screen! 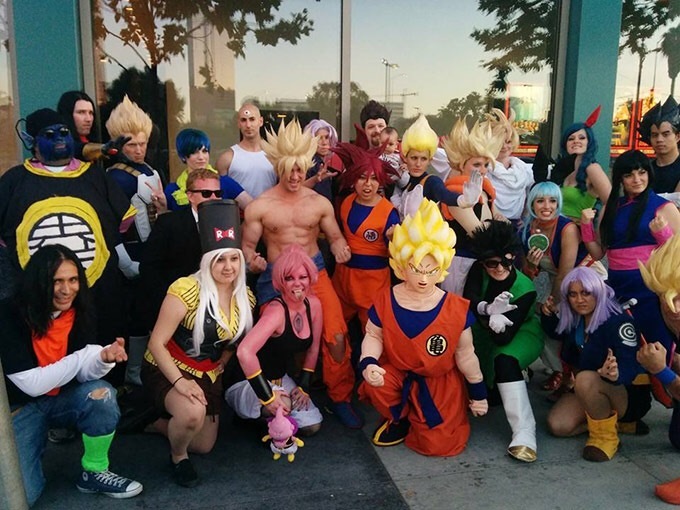 But I’ve always wondered what would have happened if Dragon Ball Z didn’t end up being as successful as it had been. So I think that a lot would have changed. I feel like Funimation wouldn’t be as big of a company as it is if Dragon Ball Z would have failed in the states. I feel like anime would be even more underground than it is now. Now I know that other anime’s have been out before Dragon Ball Z but I feel like Dragon Ball Z is the one anime that can be counted on to continually bring in money and also new viewers. But I would love to know what you all think of this. Comment down below! I can’t wait to read all your comments. ← Vocaloids!! WTF Are They? Dragonball appeared on the big screen thanks to Resurrection of F. I don’t recognize that picture you posted. Nope, that movie never existed. Yeah I just meant like a major motion picture. Hmmmm. Good question. Many of the successful animanga series right now like ONE PIECE & Naruto has their creators admitting that they’re hugely influenced by Dragon Ball. If DB wasn’t so successful, then perhaps ONE PIECE & Naruto would be different in some ways, too. We’ll never know since all of them are now legendary. Yeah that is definitely true. Yeah I agree, since One Piece and Naruto were influenced by DB and if Dragon Ball was never successful, that would probably mean these two would be very different. The stories might be different than the ones we know now. We could have had a dark version of One Piece or a Naruto comedy series for example. Since Luffy and Naruto were based on Goku’s character. They might be different if DBZ failed. It will also affect FUNimation too, since they are well known for Dragon Ball Z.
I know, right? Maybe Luffy and Naruto wouldn’t be such gluttons for food. That would unlike of them if that happen. I can’t see both of them not gluttony. It would be odd. Exactly! Luffy & Naruto would never be the same if the weren’t gluttons anymore. That’s why we should all be thankful for Dragon Ball for inspiring Oda-sensei and Kishimoto-sensei. If it wasn’t for DBZ, we would never have a series about pirates or ninjas.